Have you ever been put in the position of having to manage a messy and complex project? How about a simple project? Sometimes they’re not “so” simple to manage either! The task of Project Management is always complex, whether it is a small or large project but as the year progessing we’ll being seeing computer power and technology being brought into project management to make the processes simplier as well as saving time and money. 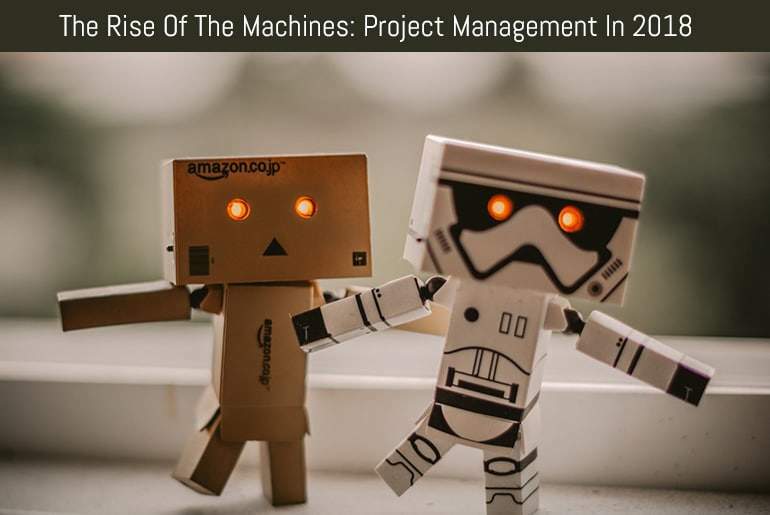 Here are some Project Management trends which I think we’ll be seeing more of 2018 that will help you get to grips with project management. Collaboration is always good in terms of work, knowledge, skill sharing and helping progress. With businesses expanding and collaborating with many clients in many sectors this way of working together will grow in the coming year. The benefits of seeing the machine as “part of the team” in order to assist with speech recognition – perhaps taking notes in meetings or providing translation services for foreign visitors – and other routine tasks will only increase as the technology improves. Just think how much time can be saved by having Siri, Alexa or Google Home answer some questions so you don’t have to spend time doing the research. Agile development mainly used for software development and testing purposes, but it has begun to move into a more co-operative approach in general. It has also been adapted to embrace parts of the Waterfall Method making it more flexible and adaptable to varying requirements, business strategies and other types of projects. As the year moves on, we’ll see different project management methodologies become more encompassing recognising the benefits of being able to be used together rather than as a standalone system. Whilst true A.I is a fair way off, the current level of technology will be able to take some of the more menial tasks on board for you such as make and reschedule appointments, pretty soon they’ll be able to work out project workflows and set up all of your Gantt charts without and human input, saving you a lot of time and effort. It used to be thought that all remote workers did all day was lay around in pajamas watching day time T.V and only working occasionally – this isn’t the case all! Recent surveys by a number of companies have shown that remote workers are, in general, more productive, and with less interruptions and distractions they feel more productive too, which in turn can increase their productivity. As well as remote working from home, there is no longer a need to have a true office. You can work from a coffee shop, or set up a pop-office in a Co-Working Space when you need to get together for an office meeting. Online tools such as Trello, Wrike and Basecamp also mean that uses can collaborate around the world without needing to be in the same office, and mobile Skype and Facetime allow all important fact-to-face communication wherever you are. Whilst the current level of A.I and Apps aren’t quite robust enough to run our calendars or act as a secretary just yet, the speed of change in mobile computing and remote working show that in a short space of time the way that we manage out projects will certainly be changing.